One of my best friends made an offer on her very first home today, and I couldn't be more excited for her! While I've had several of my own places since college and now one with my hubby, I've never lived in a place that belonged to me. I'm hoping our next stop will bring us just that... a place to settle and call our own! I want a place I can paint. A place where I can knock down walls. A place I can transform (budget allowing of course) into our "home." Jon has been so patient with my sporadic purchases of things that we have no room or place for in our current home. "It's for our future home!" I'll exclaim as he gives me the "What did you buy today?" look. He'll normally just smile and shake his head. :) I'm so lucky to have found a man who loves and supports my dreams (and weakness for pretty things at a good price). I've mentioned before that I have a file on my computer entitled "Wish List." In it I store photos and ideas that I'd love to see in a place of our own someday. Today I'm going to share some more of those ideas with you--this time with a focus on the kitchen. Imagine it with me, will you? 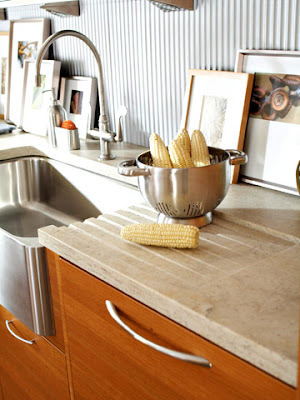 Built-in drain board next to the sink? Yes, please. I also love seeing artwork displayed on the countertops rather than unsightly appliances. 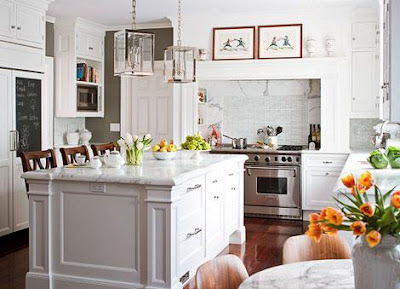 I'd love a large island that allows for seating of a couple people. Carrera marble would be my choice. 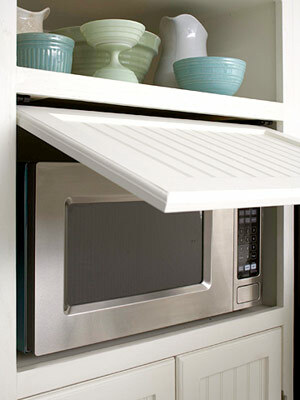 Because who wants to see the microwave? 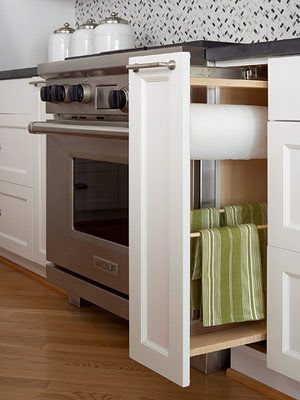 Tons of hidden storage is a must, and it frees up valuable counter space. 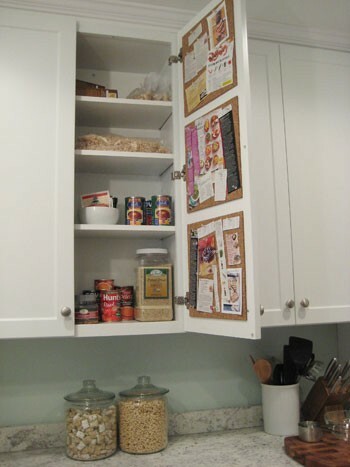 And don't forget the inside of the cabinets. 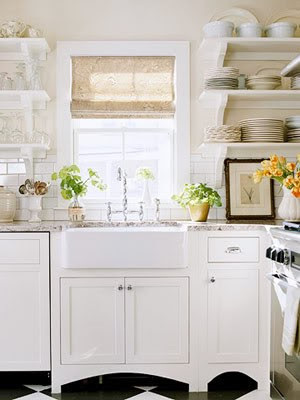 Open shelving-it's economical and is a great way to show off all of your pretty dishes. 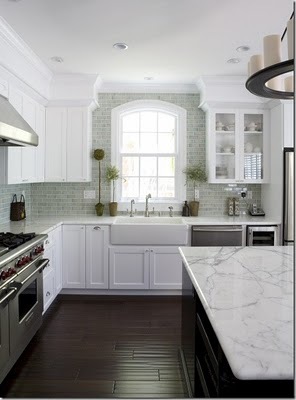 Maybe a sage tile backsplash wouldn't be so bad. It sure does look pretty against the white cabinets. This is neutral heaven right here. In the words of Rachel Zoe "I die" for these chandeliers. 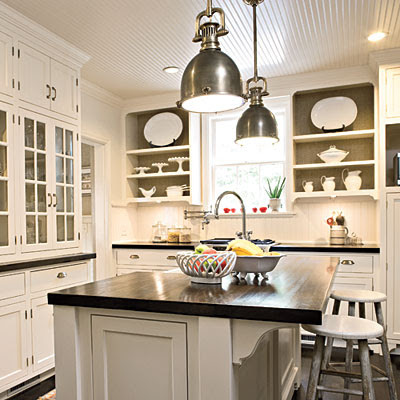 Beadboard ceilings, pendant light fixtures and open shelving. Sign. Me. Up. 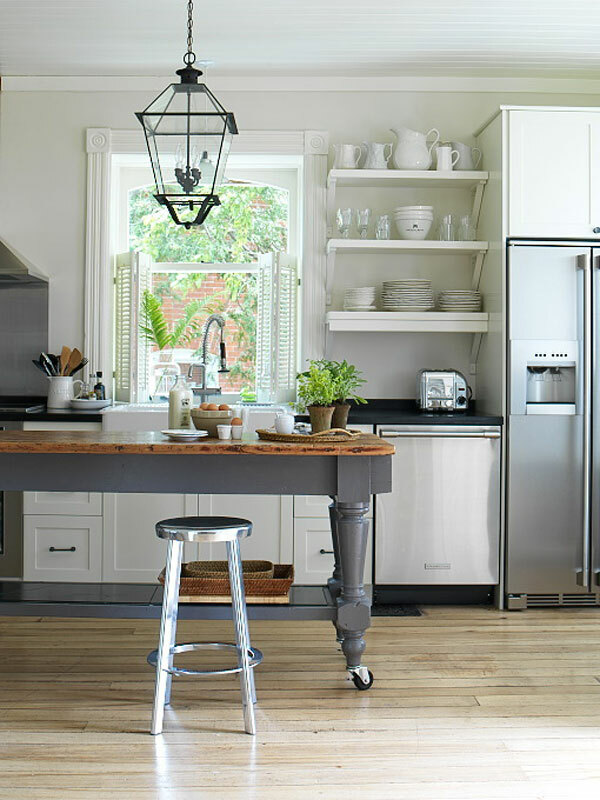 I'm a sucker for farmhouse sinks, but the jury's still out with Jon. This has many of the same attributes as the ones I've listed above, but it's a step ahead with that mantel. And of course we must have a sitting area right off the kitchen. 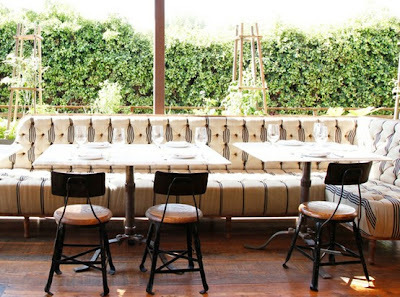 Or maybe even a banquette and chairs like this. Can you see it? Ahhh I can! One day...one day!